Here's the worst thing Apple sneakily introduced today: an iPad Smart Case that's more of a crappy and shoddy iPad case than a slick Smart Cover. The new Smart Case covers the back and the front of the iPad in polyurethane. Eww. 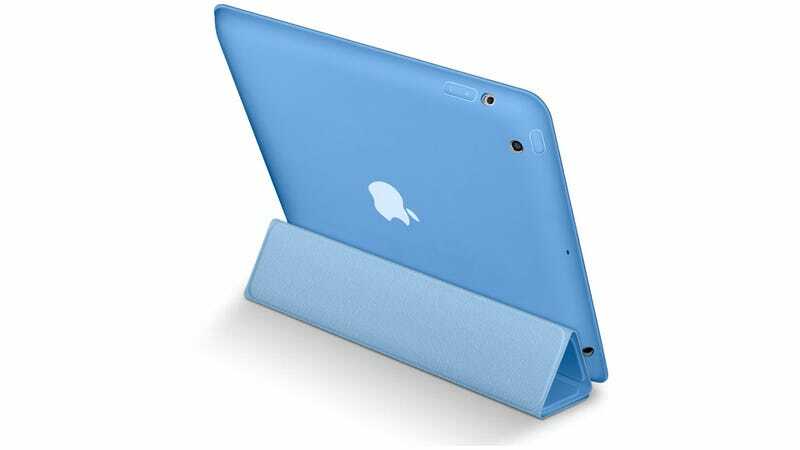 It's like a burqa for your iPad and I can't believe that Apple wants to douse the wonderful industrial design of the iPad in blue, green, pink or red (it also comes in black or grey). I can't believe that Apple is encouraging people to put a case on their iPad. I can't believe so many people are going to buy these stupid Smart Cases for their iPads so they can express themselves with ugly colors.